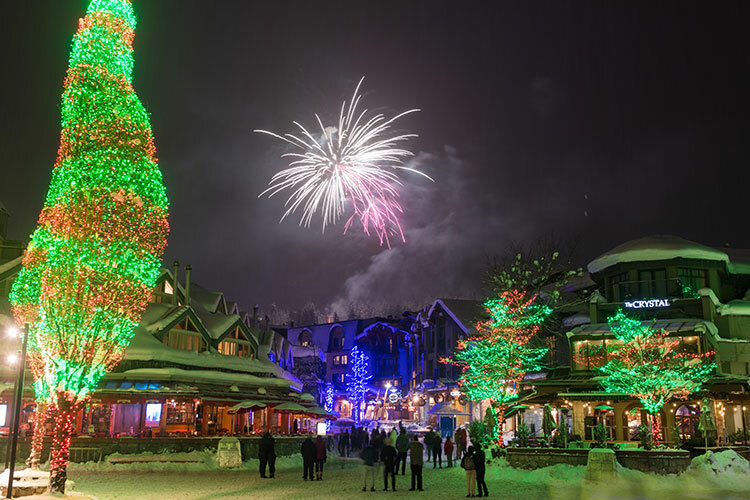 As you drive into Whistler Village the lights that line the highway ignite that incorrigible five-year-old festive spirit we all have inside us. 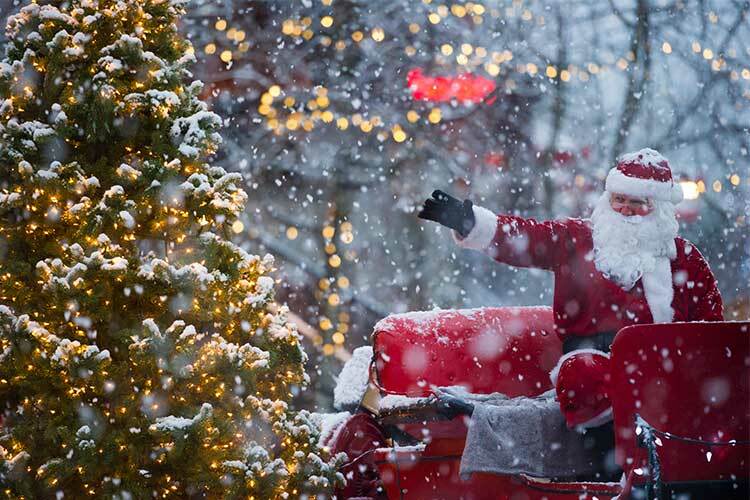 There’s something simply magical about seeing twinkling lights adorning trees and buildings, the sparkle and glow being reflected in the white snow that blankets the ground below. 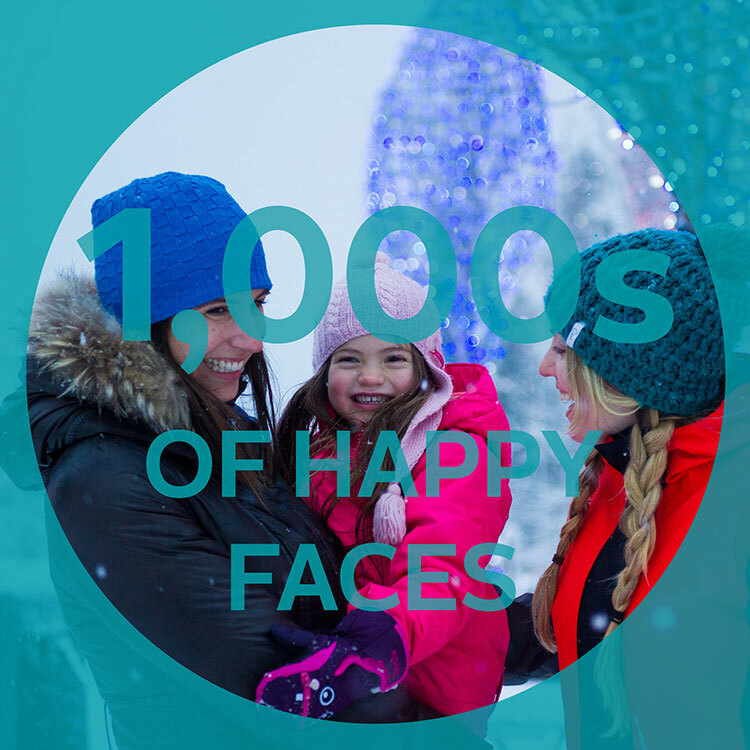 They bring a sense of warmth, good times and laughter and create a winter wonderland that typically only lives in the movies. 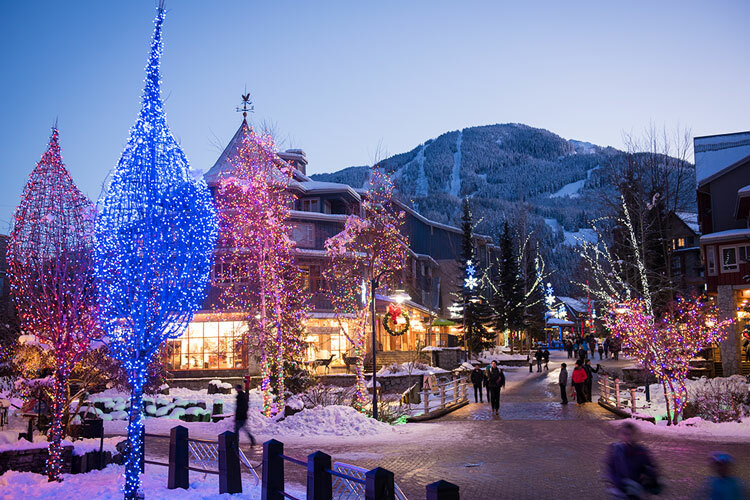 Lights are strung throughout Whistler along the Village Stroll, at Whistler Olympic Plaza, Town Plaza, Village Square and the roadways leading into the Village. 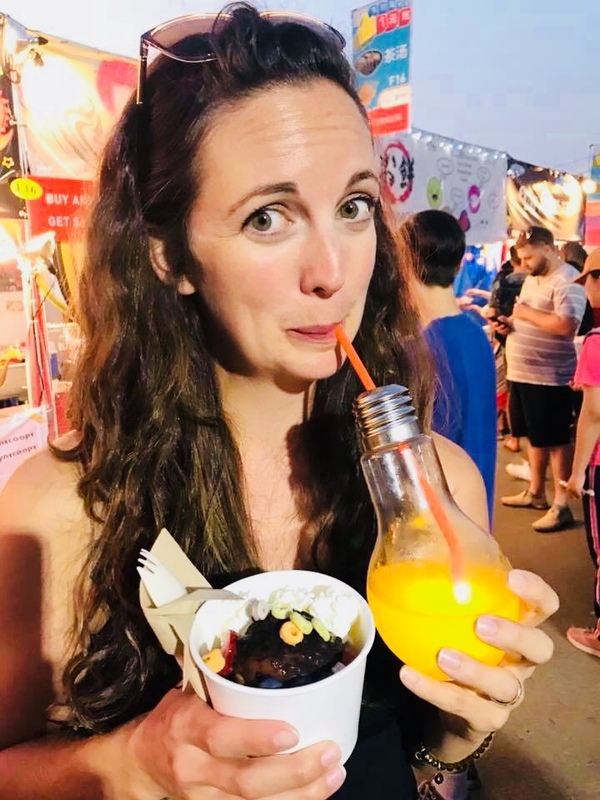 Local businesses also get in on the action and work with the RMOW team to coordinate the addition of their lights – you can never have enough. 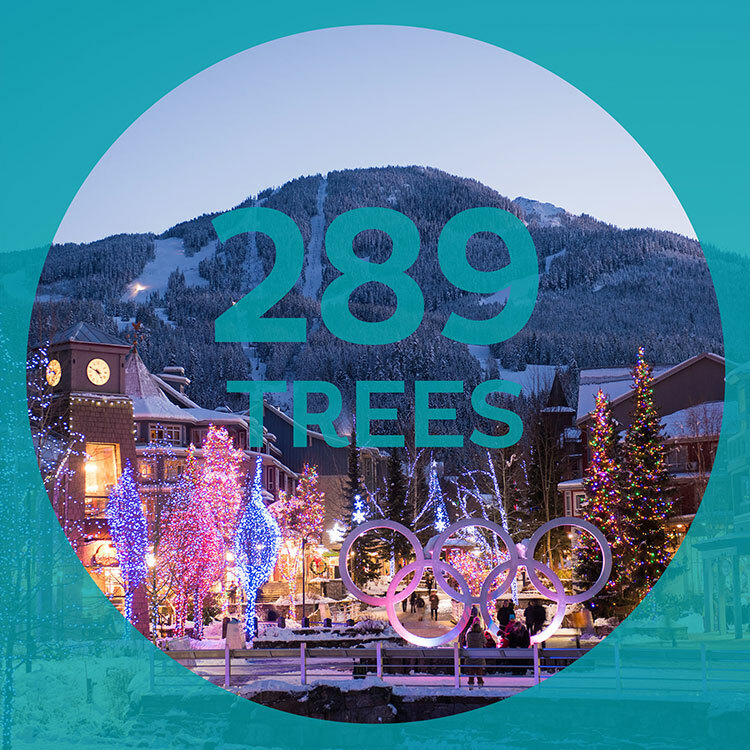 Lending us their limbs for the season, nearly 300 trees around Whistler Village are strung with lights of all colours. 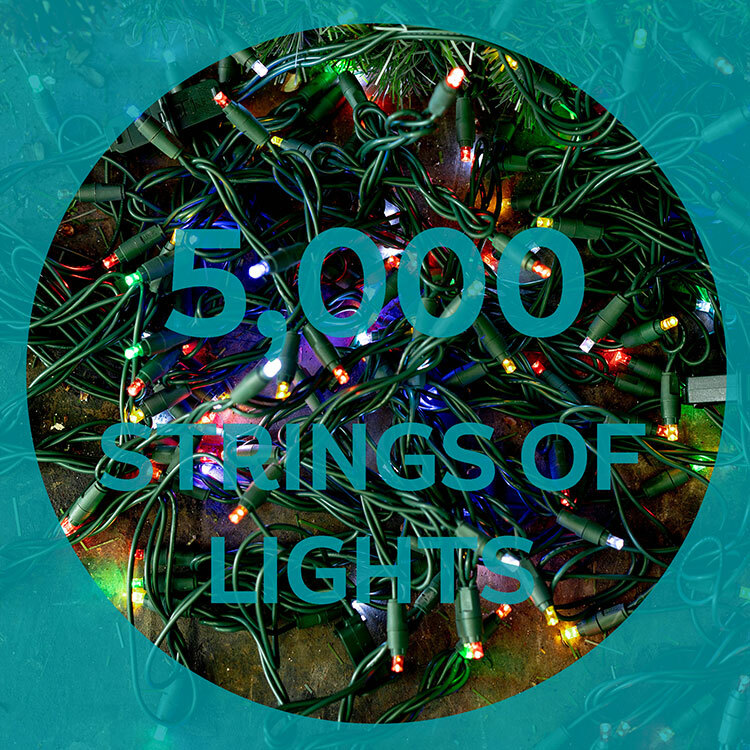 Each string of lights is 24 feet long and holds 70 LED bulbs. 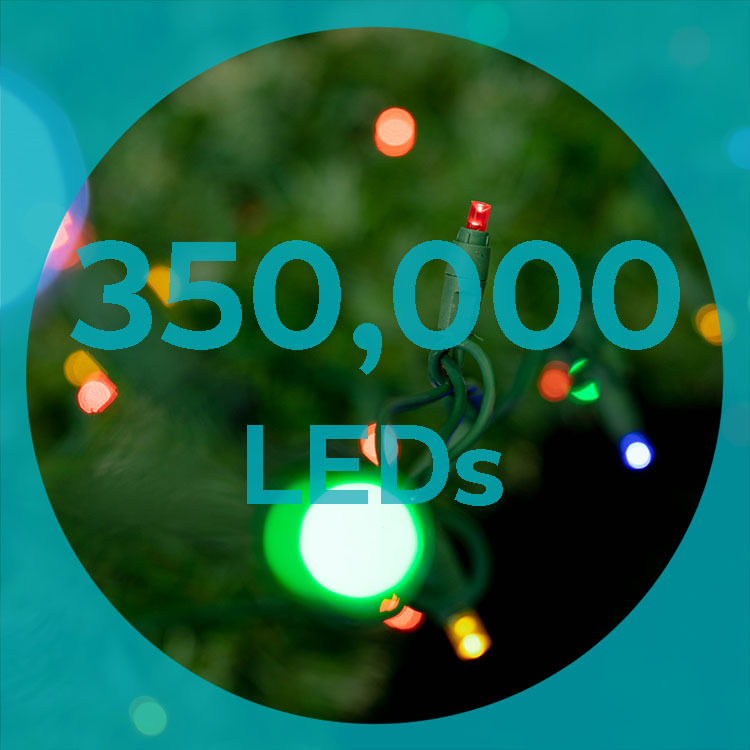 With approximately 5,000 strings going up that brings us to a grand total of 350,000 LED energy-efficient bulbs. Upkeep of these is an ongoing task from when they go up, to when they come down in late February/early March. Close to 95% of B.C.’s electricity comes from renewable resources, which is good to know given how many bulbs there are! 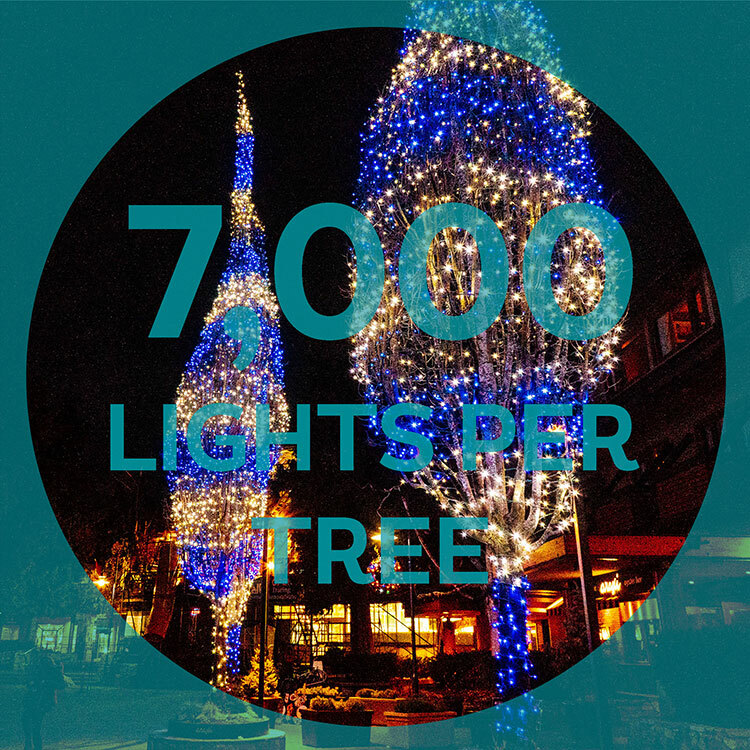 The trees in Village Square that sit outside Araxi have 100 light strings on each of them! Some say that this section often reminds them a little of Dr. Seuss’s Whoville – we wonder why. 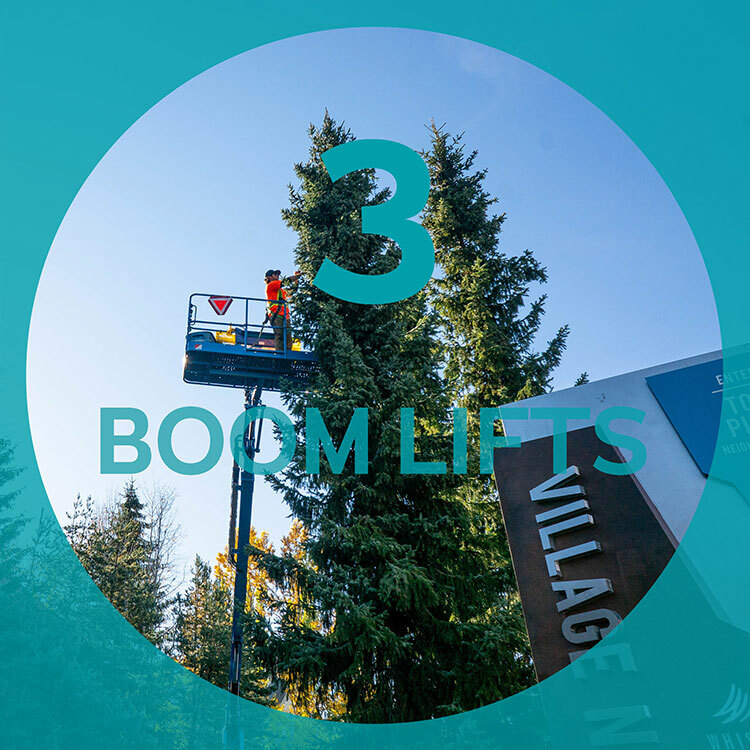 When the team started in the middle of October the weather was lovely and sunny, making it t-shirt and tan conditions up the boom lifts. However, as the winter weather rolled in it quickly turned to full waterproof gear! There’s warm white along Lorimer Road, and cool white tones on Village Gate Boulevard, in Town Plaza, and Olympic Plaza. 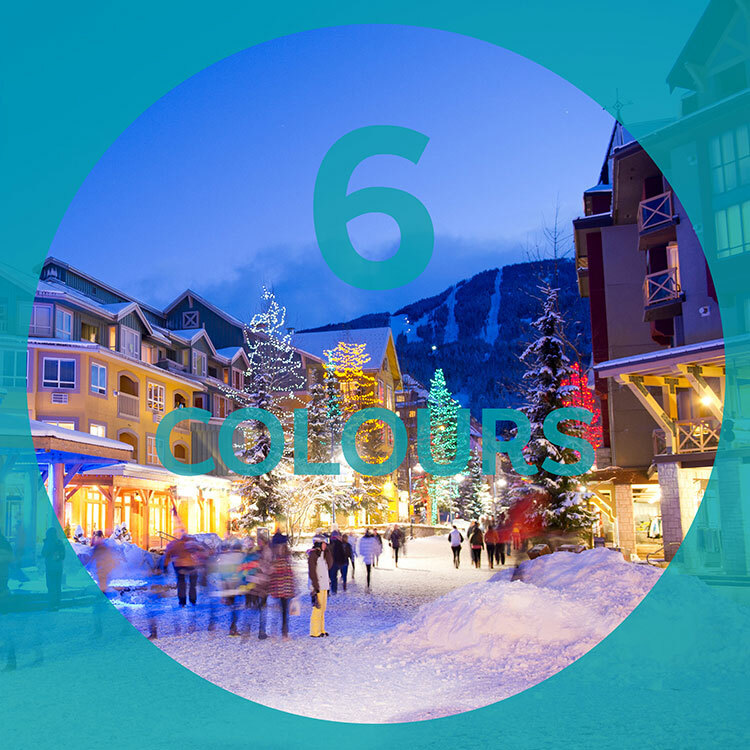 Reds, blues, greens and mutlicoloured strands can mostly be found along the Village Stroll, Whistler Way, and Main Street. New for this year is a light blue around Gateway Drive – fancy. 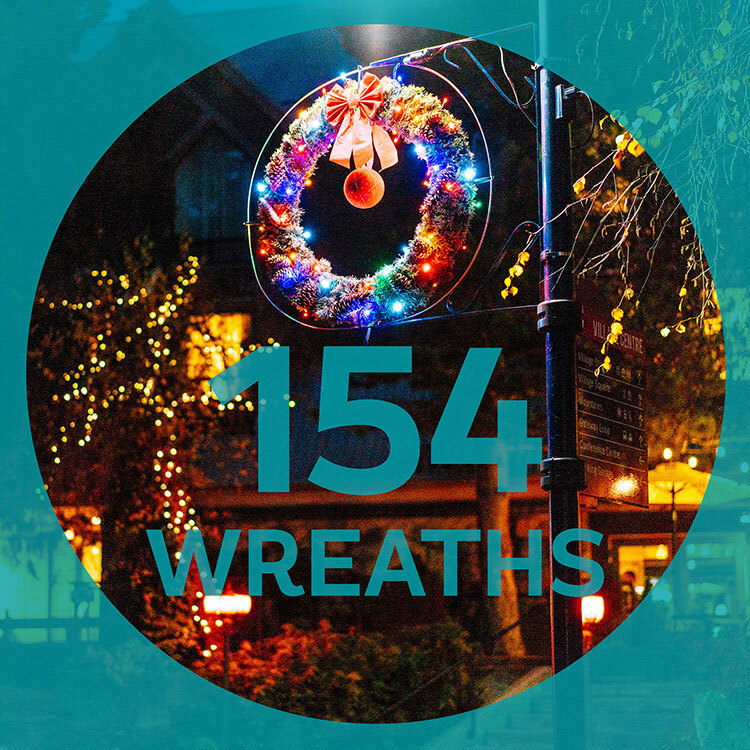 Working away like elves in Santa’s grotto, the team have been updating the wreaths with new baubles and bows to make them really pop this festive season. As I said, these lights tend to bring out that childlike wonder and excitement in us all, so why not revel in it? 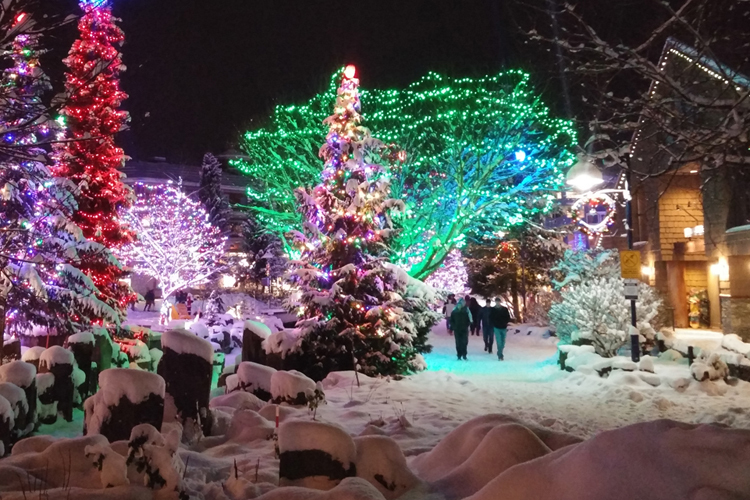 Skate in Olympic Plaza, throw a snowball, and build a snowman – all under the twinkling festive lights of Whistler’s winter wonderland. 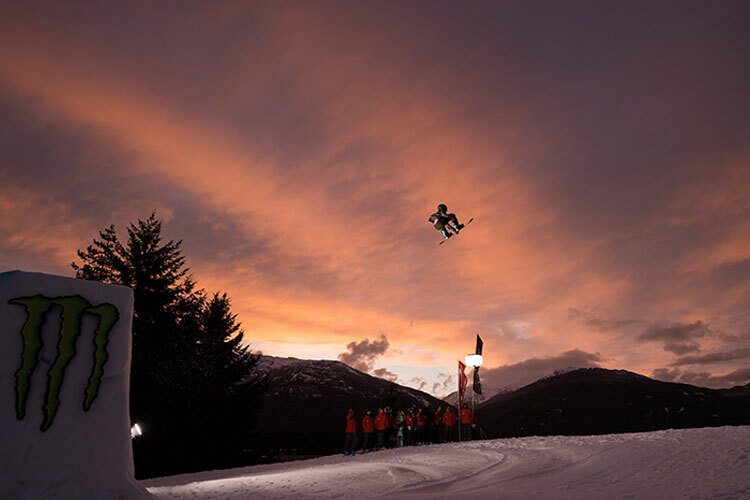 If you’re visiting us over the festive season take a look at this page on Whistler.com as it gives you info on events, activities, and festive dining. 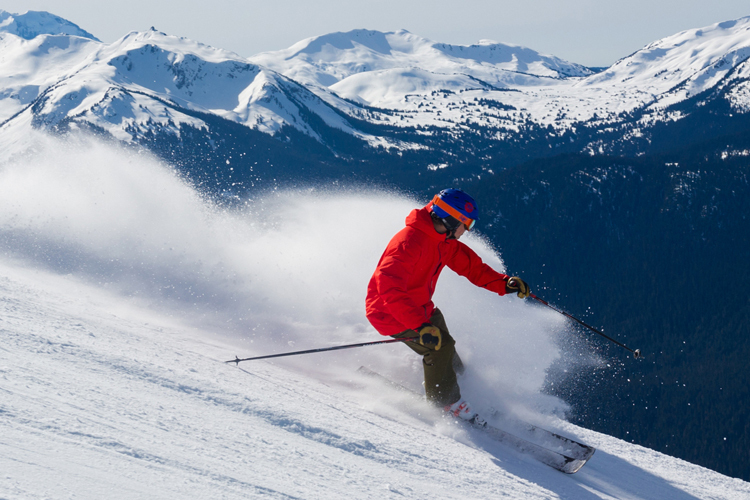 Please note that there are still deals to be had early in December and throughout the winter season, so give the Whistler.com team a shout and join us in our winter wonderland! 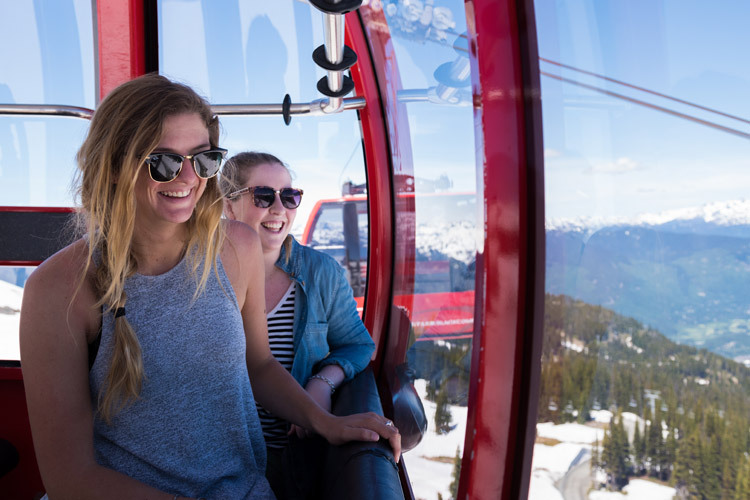 If you’re a BC or Washington resident check out the Whistler Rewards program (it’s free), which gives you access to insider perks and specials.